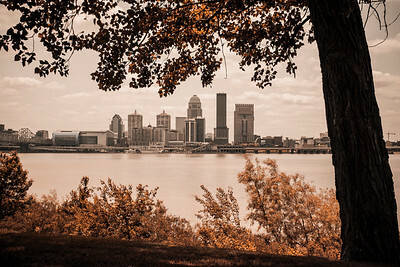 Photos of Louisville, Kentucky including downtown Louisville, the Louisville skyline, and more. Order prints, license for commercial use. 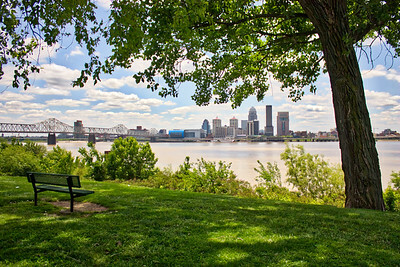 The Louisville skyline taken from across the Ohio River at Falls of the Ohio State Park in Indiana. 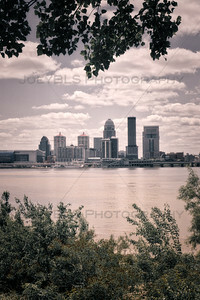 Downtown Louisville, Kentucky skyline as seen from Falls of the Ohio State Park in Indiana across the Ohio River. 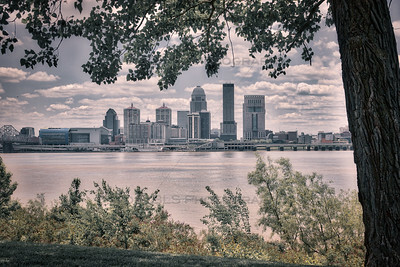 A clock along the street during an evening walk through downtown Louisville, Kentucky. 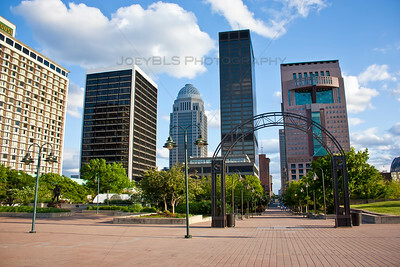 Historic facades of 19th century cast iron buildings which are being rehabilitated in the West Main Street district in downtown Louisville, Kentucky.